Somewhere, Need for Speed Payback makes absolute sense to someone. In its own bubble there’s a reason for it to exist and it’s a cool video game about racing, wrapped in a revenge plot. But as soon as you put your foot down it’s like someone’s stuck a banana in the tailpipe. It becomes clear it’s complete nonsense, and appears to be an act of self-sabotage by Ghost Games or EA or someone with a list of bad ideas they were insistent on making. Where to start? 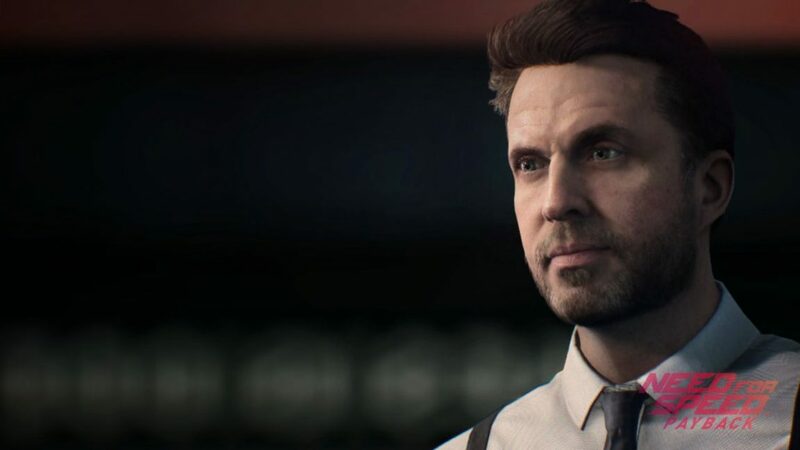 Somehow more obnoxious than the populace of Watch Dogs 2 and Sunset Overdrive combined, Payback’s cast of dead-eyed characters spew line after line of moronic chatter, forced banter and blatant plot exposition at every opportunity. If it’s not them it’s the completely pointless police radio spitting out directions or the smooth radio host seductively hinting that someone needs to bring down The Man. When you think you’ll have a little quiet time, main hero Tyler Morgan begins talking to himself. Can everyone just shut the hell up? The other characters aren’t any more likeable. Sean McAlister (“The Mac Attack!”) and Jess Miller are only there so you can drive different classes of car and babble incessantly. There’s a bunch of other cliches and hammy villains, including a mechanic who refers to himself as an artist, some bell-end called The Gambler (he likes to gamble) and a baddie called The Collector (yep, he likes to collect cars). It’s the cast of a Saturday morning cartoon. But look, it would be wrong of me to judge the game on these dudes even though you have to wade through their collective arseholes to get to play the thing. Payback is exactly what you’d expect. You’ve played it before. 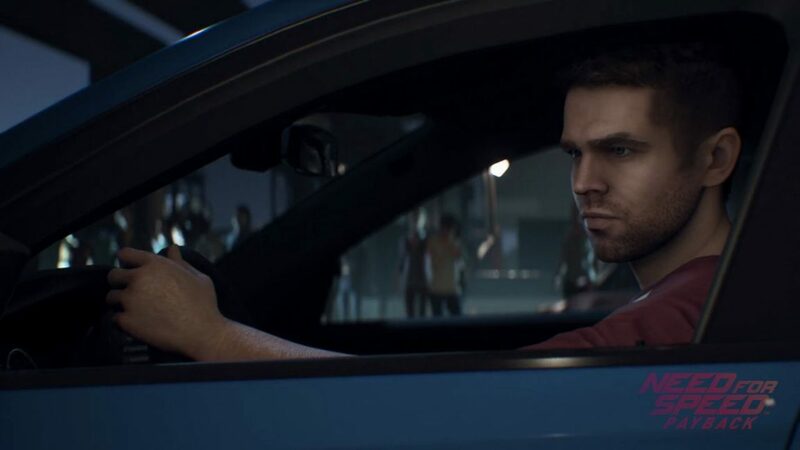 You race, drift, hit jumps, blaze through speed cameras and take part in missions referred to as heists (they’re not) to get revenge on someone for stealing a car you liked. 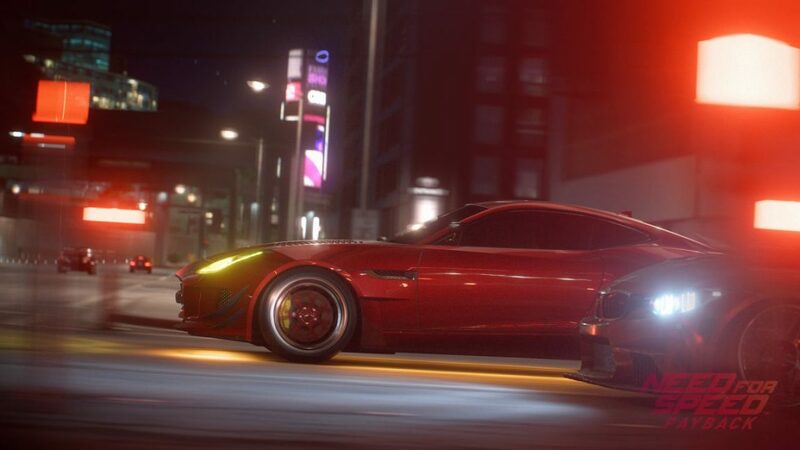 In between these missions you race, drift, hit jumps, blaze through speed cameras and a few other things to upgrade your car so you can reach a level high enough to do the story missions. It’s a hell of a grind. And that’s all fine, I guess. It’s actually quite fun for 30 minutes if you switch off your brain and turn all the noise down. But it’s difficult to enjoy when there’s more nonsense getting in the way. The way Payback is structured, the way you upgrade your car’s performance and cosmetics is so unnecessarily convoluted it’s actually quite funny. Again, I’m sure it makes sense to everyone at Ghost Games, but the rest of us can see it ties itself in knots. 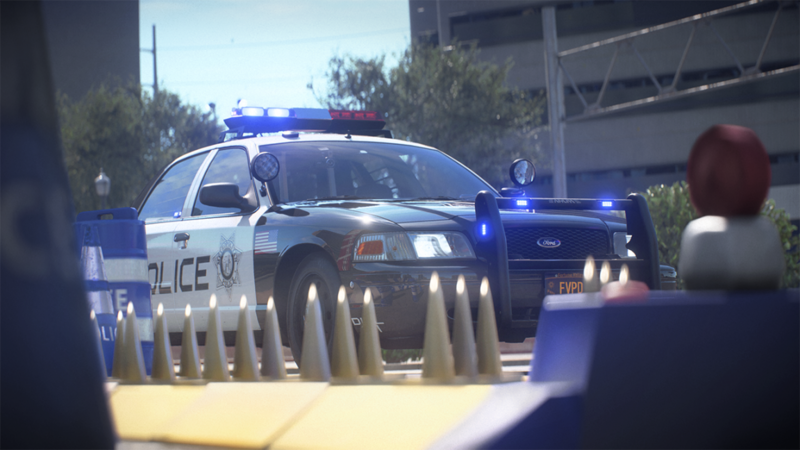 See, Need for Speed Payback is set in a fictional Las Vegas. So that means to upgrade your car you’re going to use playing cards and a slot machine. Wait! Honest. What? I know! I think it works like this, because honestly I let it wash over me as I started to go numb and question my life choices; Cars have six slots for six Speed Cards. Speed Cards represent better handling, nitrous, brakes, etc. You earn Speed Cards by completing a mission, earning them in races or spending some of the currency when you visit one of the Tune-Up Shops dotted around the world. Tune-Up Shops rotate their stock every 30 minutes which is important because it’s the only time you get some choice to your car parts. If you don’t like the Speed Card you’re dealt from a mission or race (it’s random, you draw your card blind) you can cash it in for a Speed Token. Get three tokens and you can gamble them with a spin on a slot machine that coughs out – you guessed it – another Speed Card. Someone thought this was a great idea. While you upgrade the performance of the car with cards and slots, you upgrade the cosmetic stuff by completing tasks in the open world. Three ramp jumps to change the hood, that sort of thing. The idea is to make you explore and experiment in the open world but the fact a racing game has a fast travel system tells me Ghost Games figured you’re going to get bored of this. If players would rather teleport around a map rather than drive, well, that speaks volumes. And this being a game in 2017 there’s Speed Points that you can buy with real money to spend on loot boxes. They have various Speed Cards and other cosmetic tat in them if you need them. But really, if you’re buying them on top of this game you’re just part of the problem. The final insult in Need for Speed Payback is the single-player story missions themselves. They sound cool – a playable Fast & Furious – but in reality take the thrills away just as you’re about to experience them. The first time you press the NOS button you get a cutscene of the exhaust rather than the buzz of blazing across the tarmac, driving the actual car. The first time you brace for a jump into the unknown you’re shown a cutscene just as your wheels hit the ramp. This continues with each set-piece so you’re not actually playing any of them, just watching from a distance. What kind of racing game doesn’t let you play the payoff? Madness. All of this is a shame. This is a racing game that doesn’t just take your hand but forces you through corridors. When you have some freedom it’s fast and loose. Handling is pure arcade with a handbrake button that punches almost every vehicle into an instant right angle, but it’s fun, and you can comically drift for days around the dirty tracks surrounding Fortune Valley. Laying side bets on races works well (stay in front for at least 30 seconds, hit 25 objects) and Payback is at its best when you’re tussling with the AI, camera shaking, dirt flying, drifting dangerously close to a cliff edge. But it so rarely lets you play it your way. Trying to escape pursuits from the cops doesn’t challenge you to use the streets, alleys and sharp corners, but demands you race through checkpoints. You can smash the cops out the way but they just give up when you hit an imaginary finish line anyway. You can’t take shortcuts to throw them off if it means you miss a checkpoint that you’ll then have to u-turn and head back through. It’s also worth noting there’s no multiplayer online free-roaming either, which seems like another step back in 2017. The glory days of Need for Speed seem a long way off. Need for Speed Payback is swamped with unnecessary guff when it should be stripped back and lean, the engine purring. There’s little to recommend in a game that feels unnecessary in so many areas, with so many blocks to actually having fun. There could be a decent game under here somewhere, but there’s no reason to hang around and find it. Tested on the PlayStation 4. Review copy provided by EA.